Another one of my favourite meals to make is Mac and Cheese. 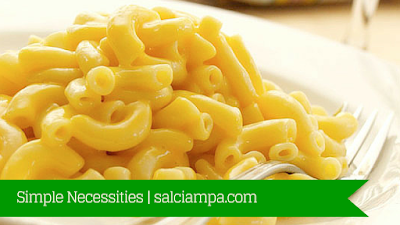 I just love cheese and I put a lot on my pasta, so naturally, mac and cheese is something I love to eat. For those that buy the boxed mac and cheese, while I can understand the simplicity of buying the boxed dinner, making it from scratch at home, is prolly the best way you can go. Ditch the box and spent a little extra time in the kitchen making the meal yourself.